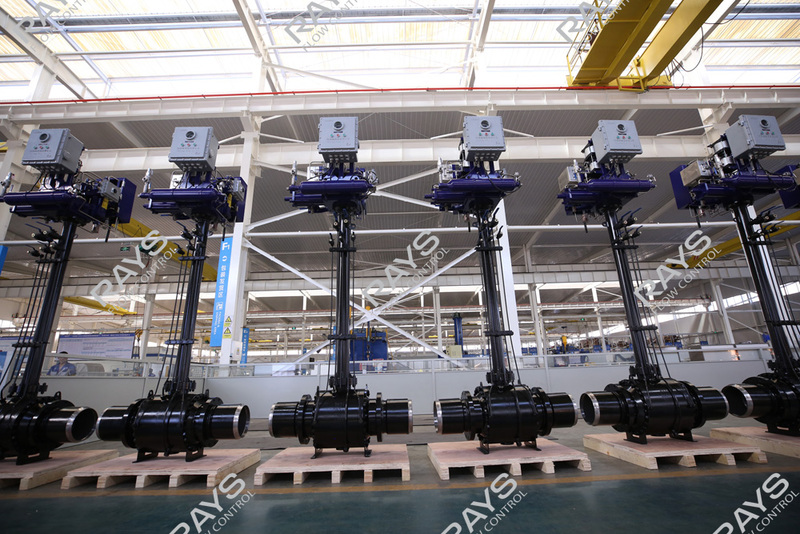 Recently, RAYS had sets of DN150/PN100 and DN300/PN150 carbon steel pneumatic hydraulic actuated Ball Valves which have been completed for production. They successfully passed the inspection and will be delivered to an international customer for their use in their natural gas pipeline. The pneumatic hydraulic ball valve is widely used in long distance natural gas pipelines and Oil & Gas field ring trunk pipe networks. They have the advantages of: stable transmission, easy control, and no need of power supply. More pros is that: it uses high pressure natural gas or hand pump as the power source, no machinery or electric equipment has a lower accident rate, it is safe & reliable, and it is economical. Under normal working conditions, the tank is filled with half a tank of hydraulic oil and the gas source tank & contrast tank are filled with natural gas, and the delay tank is empty tank. When the ball valve is in action, the oil is pushed by the itself, and the actuating mechanism is used to realize the opening and closing. The actuator is also divided into rotary vane type and fork-type. 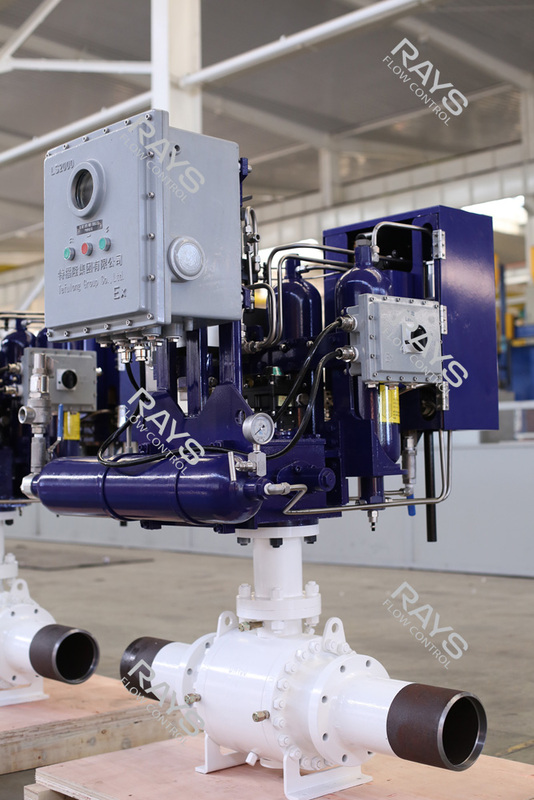 The rotary vane actuator is equipped with a rotor, which is immersed in hydraulic oil. The oil from the gas-liquid tank pushes the rotor to rotate, and the rotor drives the ball valve associated with it to rotate. While realizing the switch of the ball valve, the fork actuator uses the high pressure natural gas in the pipeline. 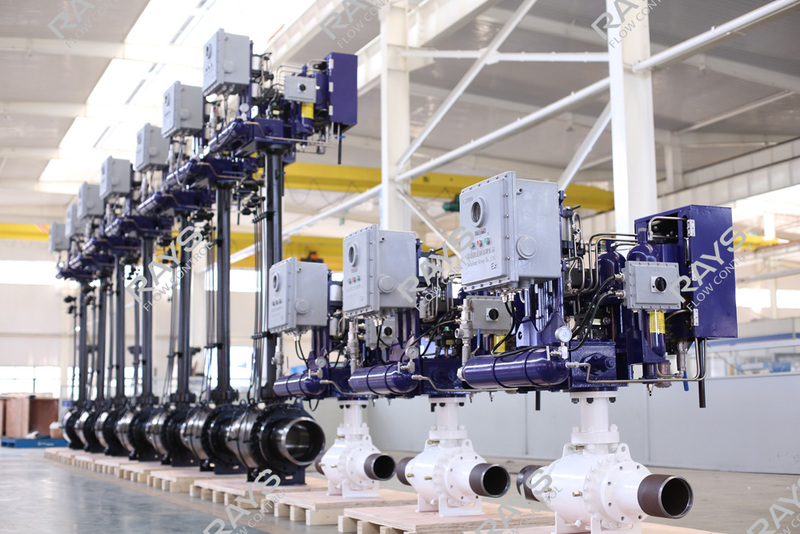 The reciprocating piston is driven by hydraulic oil, and the rotary motion of the valve is transformed into the rotary motion of the valve by means of the fork, which drives the ball valve associated with it to rotate, and realizes the switch operation of the ball valve. A pneumatic switch handle is arranged in the operating box. The automatic control system compares the instantaneous pressure of the trunk line with the pressure in the contrast tank, determines the switch of the valve, and realizes the automatic control. Delay tank can delay valve action time and avoid instantaneous misoperation. A pressure upper and lower limit and a pressure drop rate are set to meet the operational requirements. The ball valve automatically closes when the pipe pressure is above or below the upper and lower limits. In the event of an explosion or rupture of the pipe, the valve will also automatically close when the detected pressure drop exceeds the set pressure drop rate. Manual, automatic, pneumatic and remote control modes are integrated into one. 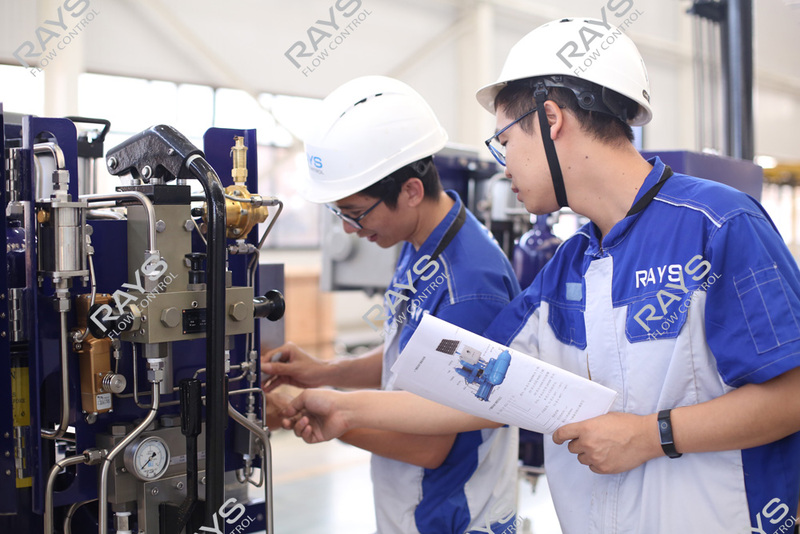 The operating mode can be selected according to the actual operating conditions to improve the safety and reliability of the valve. Manual mode, only need to replace different gears, press the handle of the hand pump to realize the switch operation; pneumatically, press the operation handle in the direction of “left open and right close” to complete the switch operation. If the notebook computer is used to set the parameters and Automatic control of the valve is achieved by starting the automatic function. If the valve is equipped with a remote control (RTu), you can pass the signal remotely.